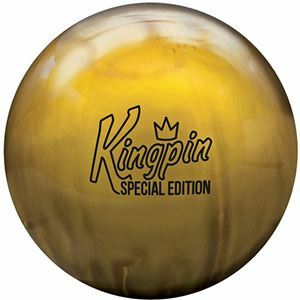 Bring the luxury of the King to your game with the Brunswick Kingpin Gold Special Edition! Utilizing the ECA-X Pearl coverstock, the Kingpin Gold delivers a new level of angularity and backend motion to the Kingpin line. Beautifully polished to a 500 Siaair/Crown Factory compound shine, its lustrous gold coloration will certainly turn corners (and heads!) on the lanes. Combined with the strong asymmetric Kingpin Ultra Low RG Core, the Kingpin Gold is designed to deliver strength all throughout the lane, to bring the absolute best out of your game. The Brunswick Kingpin Gold Special Edition is in limited supply. 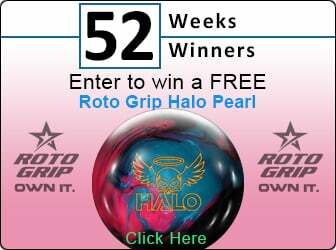 Get yours today, because this ball will not be remade. Once they're gone, they're gone!